A resolution seeking dramatic reductions in density of a proposed housing development was presented by WHNC Zoning & Planning Chair Charlene Rothstein at a hearing of the City of Los Angeles Planning Department on July 28. Since 2012, developers Michael Harris and David Spiegel have been seeking approval to build large-scale projects on the south side of Sherman Way at Woodlake Avenue. Their initial proposal, for senior housing and an assisted-living facility, was set aside in court after neighbors argued that its scale was too large and that a previous approval failed to comply with proper procedures. The developers said they are appealing the court’s decision. 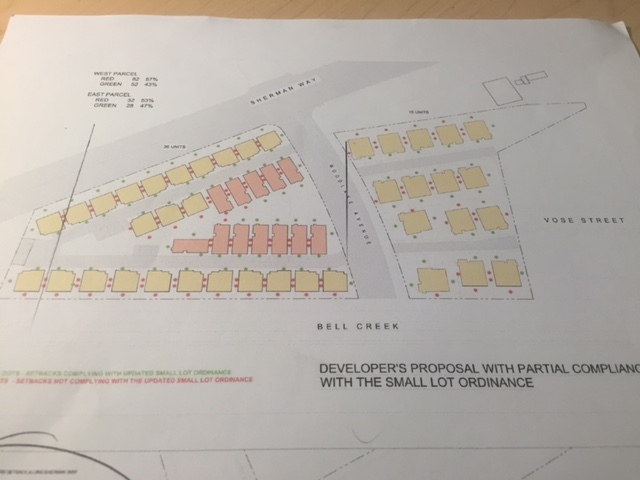 In the meantime, the developers have submitted plans for two side-by-side developments totaling 51 homes, and this too has met with opposition by the neighbors. Be it resolved that we consider the proposed densities for these projects — 23200 Sherman Way (West Parcel), VTT-73714SL, APSCSV-2015-4684-ZC; and 7000 Woodlake Ave. (East Parcel), VTT-73814-SL, CPC-2015-4680-GPAZC — to be excessively high and failing to match the character of the surrounding neighborhoods. As currently planned, these projects fail to properly address the safety of residents due to lack of sidewalks, inadequate parking, insufficient width of streets and lack of play areas. They also would take away too much precious open space and negatively affect the neighbors’ quality of life. 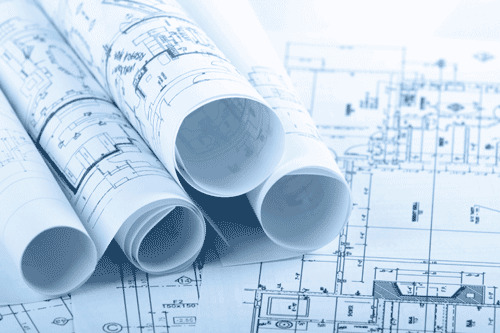 The densities of these projects should not exceed the densities that would be allowed according to the general plan without application of the Small Lot Ordinance. In addition, we strongly recommend dedicating space on both sides of the property to the Mountains Recreation and Conservation Authority (MRCA), as outlined in comments made by the Santa Monica Mountains Conservancy in its letter of June 15, 2016. 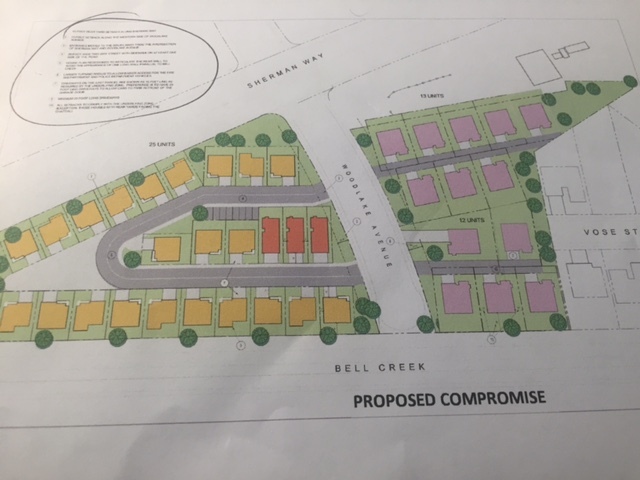 Furthermore, the committee voted unanimously on Aug. 9 to support the attached compromise proposal for 22 dwellings on the west parcel and nine dwellings on the east parcel.